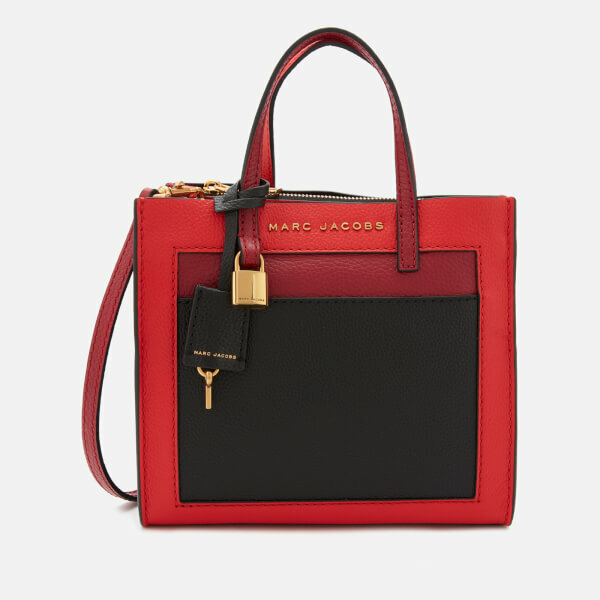 Crafted in supple, grainy leather, the smaller version of Marc Jacob’s iconic Grind tote boasts a structured silhouette and contrasting colour-blocked design. 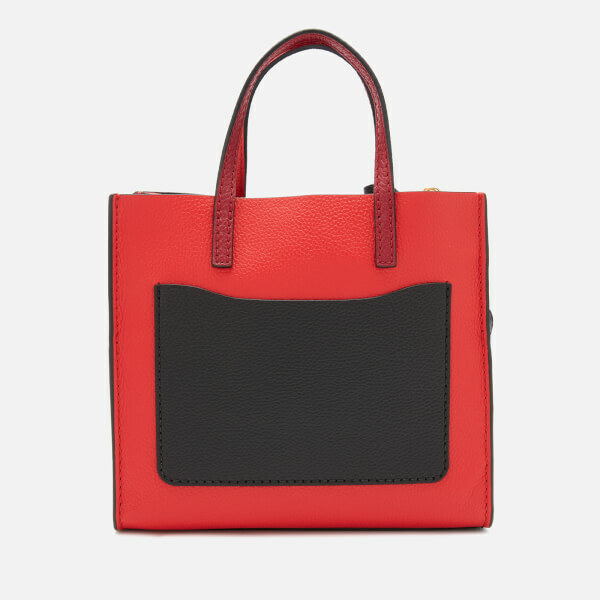 Featuring an open-top design with a diagonal zipped section dividing the unlined, dual-compartment interior, the mini tote is detailed with multiple external pockets to the front, sides and rear. 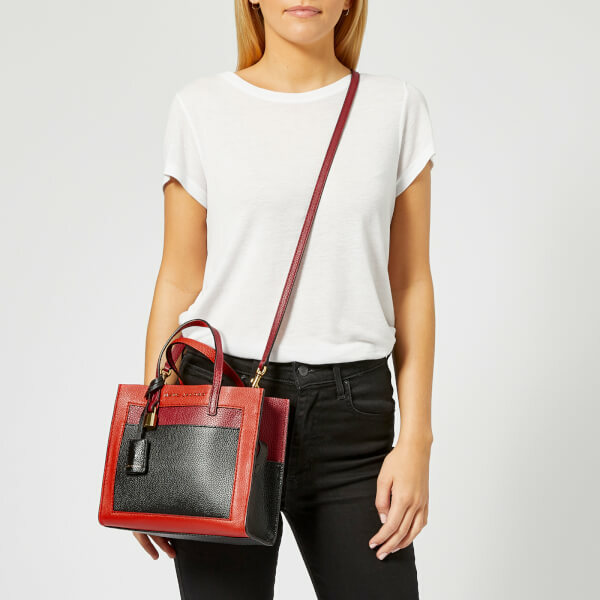 Twin top handles and an adjustable, detachable strap for cross body wear offer versatile styling options. 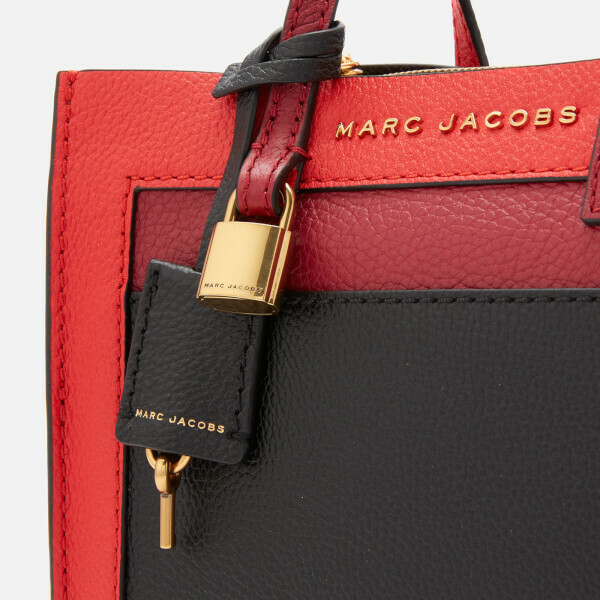 Silver-tone hardware, brand-engraved padlock and key charms and appliqué Marc Jacobs branding at the front elevates the bag’s bold, tri-colour design. Dimensions: H: 21cm x W: 23cm x D: 10cm. Handle Drop: 10cm. Strap Drop: 58cm.